Serving the Fox Valley and surrounding areas for over 20 years, Turek’s Plumbing is solely focused on service and remodeling. Whether you need a faucet repaired, your whole bathroom or kitchen remodeled or you have a clogged drain line Tureks is there for you. With trucks that are rolling warehouses we can virtually fix any plumbing problem you might have in one call. Tureks Plumbing service’s all of the Fox Cities, Oshkosh and into the Green Bay area. Our state licensed and trained technicians are here to assist you with any of your plumbing problems, from drips to drains, toilets, sinks, sewer or drain cleaning needs we’re here for you. Mosquito Creek Home Renovations is a full service design build remodeling company located in Appleton WI. Our main focus includes kitchen remodels, bathroom remodels, basement renovations and home additions. We are an authorized dealer for Bertch Cabinets, Americana Cabinets, Cambria Quartz Counter tops and Carstin Brands kitchen and bath products. Our in house design and remodel staff ensures attention to deail from start to finish on every project. For more than 35 years, Re-Bath® of Northeast Wisconsin has helped homeowners convert worn, outdated bathrooms into beautiful new bathrooms with quality remodeling services. We believe that a remodel doesn't need to be a messy, expensive headache. Since our inception, we've pioneered an entirely new concept — to quickly and efficiently remodel your bathroom and shower with minimum disruption to you and your home so you can bathe in luxury. For more than 35 years, Re-Bath® of Central Wisconsin has helped homeowners convert worn, outdated bathrooms into beautiful new bathrooms with quality remodeling services. We believe that a remodel doesn't need to be a messy, expensive headache. Since our inception, we've pioneered an entirely new concept — to quickly and efficiently remodel your bathroom and shower with minimum disruption to you and your home so you can bathe in luxury. 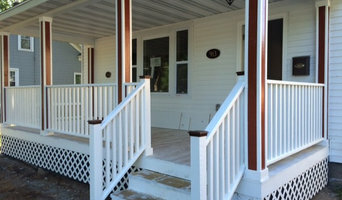 You can rely on the experience and professionalism of Wright Remodel & Repair, LLC for all of your construction needs. Wright Remodel & Repair, LLC specializes in a wide variety of additions, remodels and repairs standing behind our work 100%. We offer our customers a satisfaction guarantee. If for some reason you are not completely satisfied with the work we do, we will correct any problem at no charge to you. Wright Remodel & Repair, LLC will not be satisfied unless our customer is. Your home is a source of pride to you, and Wright Remodel & Repair, LLC wants to elevate that pride with a new addition or renovation. We are a complete home remodeling contractor with 25 years experience. We do all the work from start to finish. We take pride in the work we do. D Triplett Construction LLC has been specializing in residential building for over 25 years. We are dedicated to providing each customer with honesty, quality, and consistent and direct communication. We always strive towards 100% customer satisfaction and exceeding our clients' expectations at every turn. For more than 35 years, Showcase Kitchens Inc. has been designing, building and installing some of the area’s finest cabinets, countertops and custom furniture pieces. With a staff of dedicated craftsman and sales personnel trained in Interior Design, Showcase Kitchens Inc. can help make your dreams a reality. Whether you’re building or remodeling, Showcase Kitchens Inc. and Renew-A-Kitchen can help you create a design that meets your needs and your budget. Using state-of-the-art technologies and only the finest raw materials, Showcase Kitchens Inc. is able to provide customers with long-lasting, durable products that are unique and affordable. Spectrum Surfaces Inc. was founded in 1992. Because of the large amount of cabinet shops located in the Green Bay area of both large and small, there was need for a full service countertop supplier. Spectrum Surfaces Inc. has built its reputation on excellent customer service and quality top fabrication at a fair price. Over the years Spectrum Surfaces Inc has grown to be one of the largest countertop suppliers in Wisconsin, working out of a 12,000 square foot building. What does a Wrightstown kitchen and bath remodeling expert do? Licensed Wisconsin kitchen and bath remodelers are contractors who specialize in altering the structure of an existing space, rather than building one from the ground up. Because he or she must deal with a previous builder’s work, the job can get more complicated than new construction. You might wonder why they often specialize in both kitchens and bathrooms, but if you think about those two spaces, they actually have a lot in common. Kitchens and bathrooms include an abundance of fixtures that require careful planning and installation, including sinks, faucets, tubs and toilets that all need water hookups and drainage. They also use similar materials, such as tile and stone for countertops and flooring, due to the nature of their use. So it makes sense that Wrightstown kitchen remodelers and bathroom remodelers be one in the same. A bathroom or kitchen remodeler translates architectural plans from page to reality; some are also trained to provide design services so that you don’t have to hire a separate pro. Like a general contractor, a kitchen and bathroom remodeler in Wrightstown, WI is responsible for hiring and supervising subcontractors and providing materials when necessary. They also should have a thorough knowledge of Wisconsin building codes and construction-related legal issues, as well as current design and product trends. Here are some related professionals and vendors to complement the work of kitchen & bath remodelers: Woodworkers & Carpenters, Kitchen & Bath Designers, Interior Designers & Decorators, Architects & Building Designers, General Contractors. 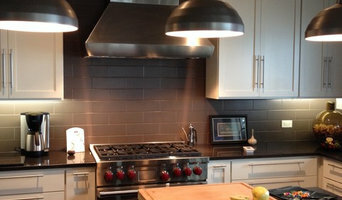 Find a Wrightstown kitchen and bathroom renovator on Houzz. Narrow your search in the Professionals section of the website to kitchen and bathroom remodelers in Wrightstown, WI. You may also look through photos of Wrightstown, WI spaces to find kitchens or bathrooms you like, then contact the bathroom or kitchen remodeler who worked on it.